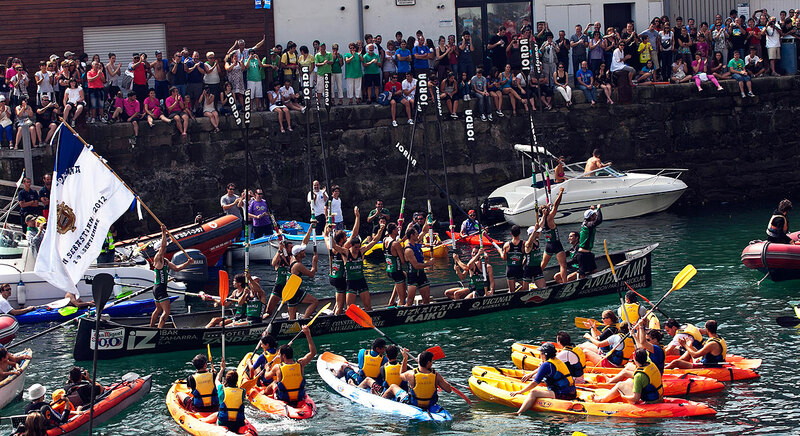 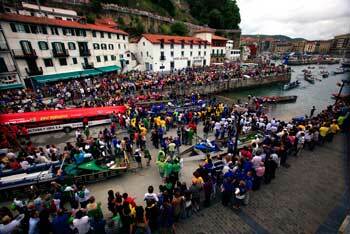 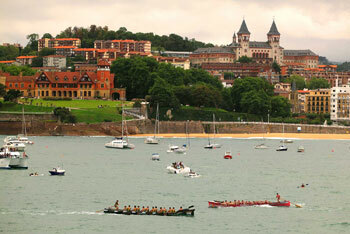 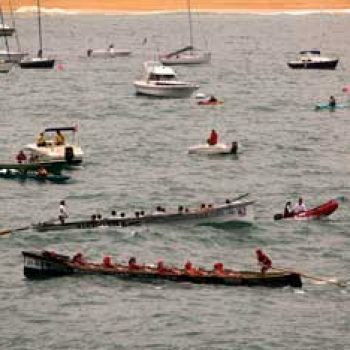 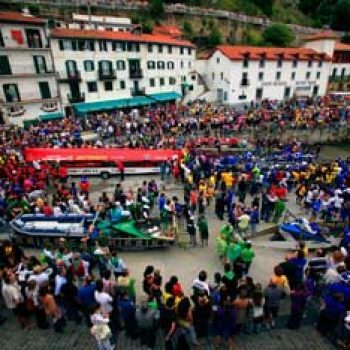 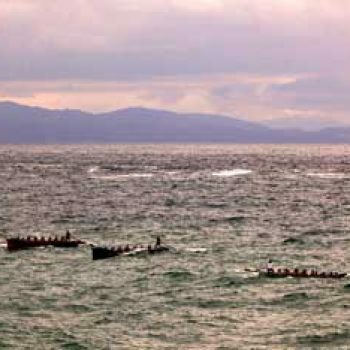 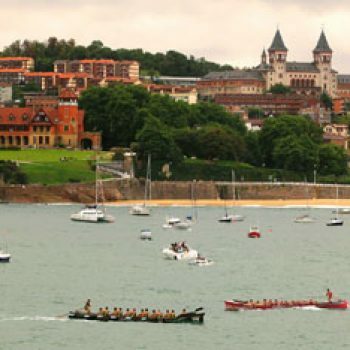 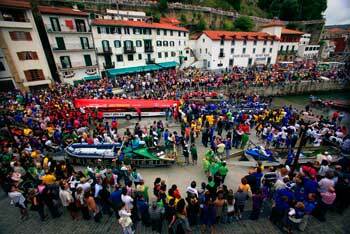 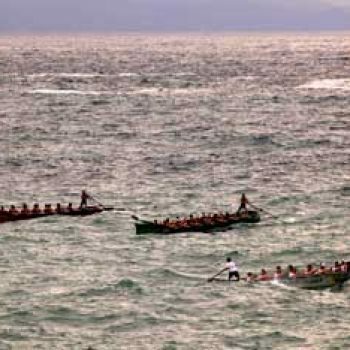 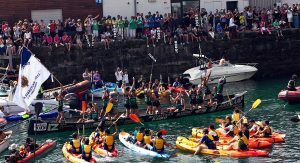 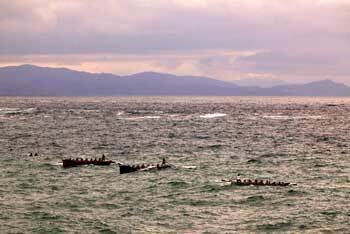 119 years of tradition have made the Fishing Boat Regattas of La Concha the most important sporting event in Euskal Herria. 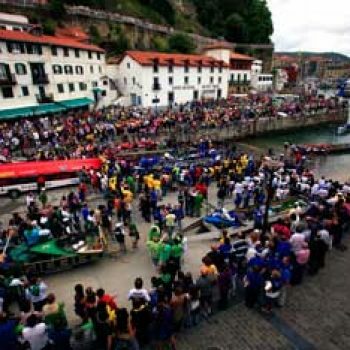 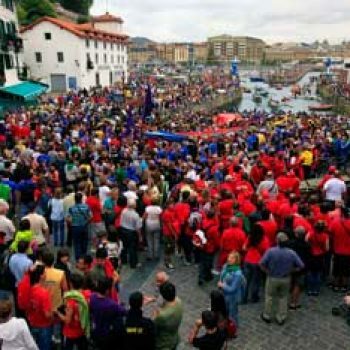 No other event is capable of attracting the same number of people who crowd together in Urgull, Igueldo, Paseo Nuevo, the Dock and the Island, on the beaches and in vessels of all kinds during the first two Sundays in September, and this is despite the fact that there is full television coverage of all the events. 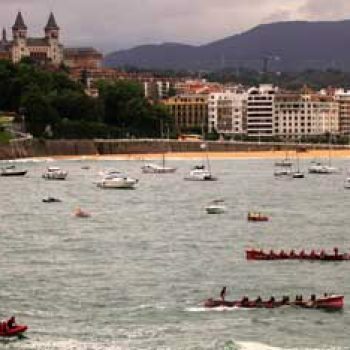 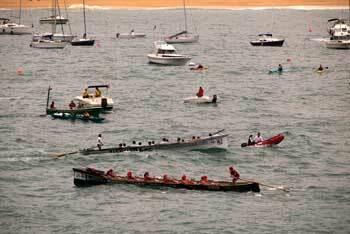 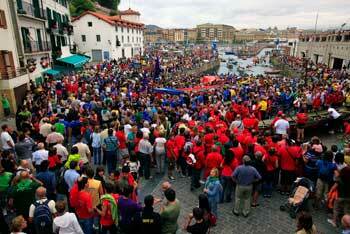 The Regatta is held at midday on the first two Sundays in September. 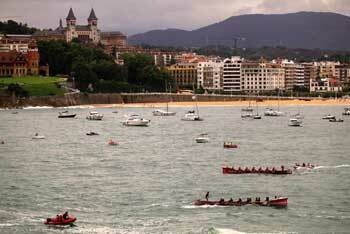 Two groups with the best 8 fishing boats and the four best times of the first day form the group of honour. 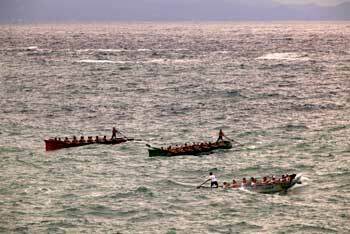 Lastly, the traditional distance of three miles is divided into two lengths with one turn.